Chief Innovation Officer is the hottest new career track that is quickly making its way into the mainstream business lexicon. CEOs across all industries rank innovation among the top three business priorities and consider innovation critical for future success. The most notable change in recent years, however, is the growing interest in innovation in the service industries, as well as in public welfare entities, including government and non-profit organizations. Globalization is pressuring all businesses to innovate their products and services on an ongoing basis. The heightened interest in continuous innovation has created a growing demand for innovation champions. Ironically, these professionals are in high demand and short supply. If your company does not already have an innovation program and an innovation leader, consider yourself lucky. You have the opportunity of a lifetime to exploit. In this article, I will share how you can position yourself to become the future Chief Innovation Officer by creating and leading an innovation program. The best career advice I ever received was “If you want to become a leader, start acting like one today.” I am going to pass on the same advice to you, along with a path to help get you there. Remember, nobody gave Martin Luther King or Gandhi the title of “Chief Revolution Officer.” They started small in their local communities and slowly spread their revolutions to the national level. You need to do the same. For you to become the future Chief Innovation Officer, I recommend starting a grassroots innovation revolution in your organization. This advice holds true whether you are an individual contributor or a leader. The primary objective is to give power back to the employee and create a bottom-up innovation program in which participants share ideas to improve existing products and services. Your goal is to foster and encourage others to come up with ideas even if it means giving them your own ideas. The ideas do not need to be grand, out-of-the-box, or earth-shattering ideas, but rather simple, incremental improvement ideas that can be easily implemented without extensive corporate resource utilization. Ideally, these ideas should be implemented either by the participants or in collaboration with a handful of individuals. If you are a leader, ask your team to come up with ideas that will improve performance of your project, business unit, or department functions. If you are an individual contributor, ask your boss whether he or she will support creating such a program. The corporate approval and funding will definitely accelerate the efforts, but it is not necessary. If you don’t get an enthusiastic response from your boss, ask whether you can create an informal group of likeminded people who meet every Friday afternoon to discuss and implement new ideas. The number one reason why managers resist such a program is because they are afraid that employees will waste time on hobby projects and not finish their assigned tasks in timely manners. If you sense such resistance, try to recruit some fellow employees and implement some small ideas to showcase the value of employee ideas. When I started the program, we were in a heavy cost-cutting mode, so we first looked for ideas that would help us save money, and later, we reinvested part of that money saved into ideas that required funding. 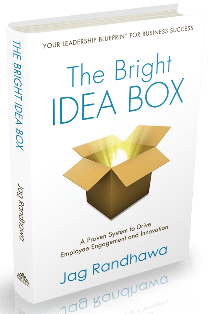 The summary Slideshare of The Bright Idea Box book shows the overview of the program I created. I do realize this approach may not be the only way to become an innovation leader, but I am recommending it because it worked for me, as well as all the people I have mentored. As a matter of fact, a thank you letter from a mentee, who was an individual contributor and is now in charge of the innovation program, prompted me to write this article. I meet other innovation leaders at various events and I hear similar stories on how they got there. This is not a “get rich quick” scheme. It will take time and effort, and if you are in a Research & Development (R&D) centric product development company, this program might be harder to implement. Your success in becoming the future Chief Innovation Officer will depend on how much you invest in developing yourself and the program. Also, there is no guarantee that your organization will recognize your contribution. But once you have such a program in your resume, it will open many new opportunities for you, including the path to becoming the Chief Innovation Officer. 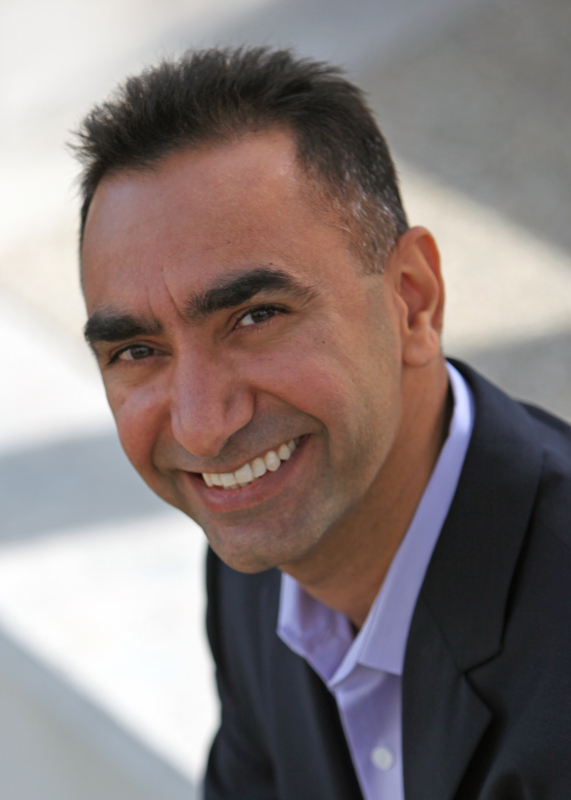 So don’t wait for someone to appoint you as the Chief Innovation Officer. Start acting like one today. To be a real Chief Innovation Officer is to- a. read up management theory on innovation with case studies from many industries. This is 20% of the journey; 60% is to rollup the sleeve and get down executing the ideas. ; 20% is marketing and deployment of innovation. LinkedIn has my resume. You will see that my path was similar, ground up. Also, innovation is fun. It is a self gratifying activity, being careful about “credit” in interaction with co-workers. I am really good at it. The toughest thing, is to know that what your working on will succeed. After having direct reporting of 10 business units and holding the CIO type title at two Fortune 100 companies, it was this Fuzzy Front End that needed the most definition, I finally figured out the best way to choose to work on what customers will buy. Sounds and is simple, it is, and powerful. Please check out my book, “Focus for the Fuzzy Front End of Product Development” (Amazon.com) in which I detail the Idea Sheet Process. I am an independent advisor. I will be happy to help you in any way that I can. Great slide show – exactly the sort of thing we try to help achieve at HYPE Innovation. It’s a battle for the innovation manager to make it work, but many companies are taking this approach seriously, and it’s making a difference. Most importantly it’s helping to build a more responsive and adaptive work force.